The iconic span that bridges the Golden Gate Strait can be enjoyed from many points throughout San Francisco and Marin County. Enjoy some brew with your view? Check out the top places to have a beer with a view of the bridge by clicking here. Help preserve some of these beautiful sites for generations to come by becoming a Parks Conservancy member today! Situated beneath the towering Golden Gate Bridge, this Civil War-era brick fortress offers a unique perspective on the Bridge, and is the perfect backdrop for a selfie. 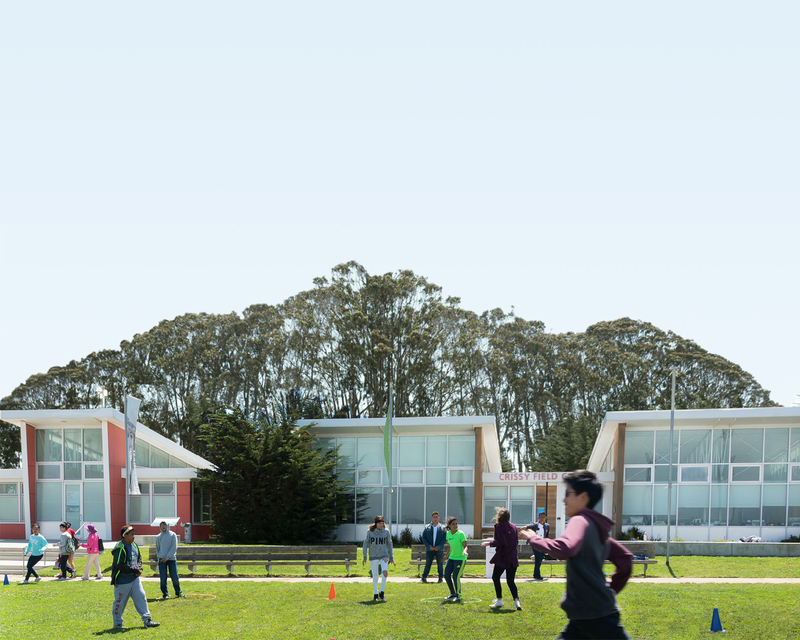 This park site is a leisurely walk from Crissy Field or the Golden Gate Bridge Welcome Center, which are both accessible via car, public transit, bike, and foot. Feel sand between your toes and get panoramic views of the Marin Headlands, Golden Gate Strait, and even Point Bonita from this stunning beach. Located on the southwest side of the Golden Gate Bridge, this park site has postcard-perfect views of the famous structure--and is also a great place to enjoy a fog-free afternoon. If you’re looking for stunning views, look no further: This former military post is just a short ride (car, bike, or public transit) across the Golden Gate Bridge, and offers picturesque vistas of San Francisco and the iconic span. The Bay Area Discovery Museum, which focuses on San Francisco Bay history and ecology, and the restored parade grounds make this a perfect destination for families. A favorite spot for locals and visitors alike, this former military airfield is a stunning place to walk or bike on a flat, hard-packed promenade with iconic views of the San Francisco Bay and Golden Gate Bridge. Stop for a snack or coffee (or a commemorative gift) at the Warming Hut, located at the west end of the parkland. The new Battery East Vista—above Fort Point National Historic Site—features bicycle parking, interpretive signage, improved wayfinding information, a revamped parking area, and enhanced visitor connections to two breathtaking trails in the Presidio: San Francisco Bay Trail in the Presidio and the California Coastal Trail. And, of course, views of the iconic Golden Gate Bridge! This dramatic and rugged coastline along the northwestern corner of San Francisco offers stunning views of the orange span. Along the way, you’ll see hillsides of cypress and wildflowers, views of old shipwrecks, access to the epic ruins of Sutro Baths, pocket beaches, a new Lookout Visitor Center, and limitless views of the Golden Gate Bridge--on a fog-free day, of course. Located above the historic batteries at the southwest side of the Golden Gate Bridge, this overlook offers a place for bikers, hikers, and runners a chance to pause here for a meditative moment.